Get up close and personal with the very best business thinkers. Learn from their mistakes, hear their candid opinions, and transform your world. Want to learn about small business? That was the typical advice up until the last 5 years or so. Now you have more options, including podcasts. At first, they were perfect for long commutes and workouts, but now there are podcasts for just about any situation. Taking a short lunch break? There are podcasts that are 5-10 minutes long. I’ve put together a list of 25 great podcasts related to running a small business. There aren’t many that focus on small business in particular, but they focus on topics that have a lot of overlap with small business. The podcasts in this section typically cover your typical “business” topics. If you feel like you missed out on taking business courses in school, these will help fill in the gaps. In a nutshell, Tropical MBA focuses on teaching you how to build a business while being able to travel. If you have a small business where you’re looking to find a balance between business and your life, I think this podcast will help you. They cover a wide variety of business topics, including creation, hiring, and sales. The difference from other shows is that Tropical MBA examines them in the context of being able to do them from anywhere in the world. The $100 MBA is a great podcast if you’re looking for short, practical lessons about all topics of business. They are short episodes, but very little fluff, and always some kind of takeaway. He covers not only business fundamentals, but also modern topics like content marketing and social media advertising. This podcast is a series on Rainmaker FM, and was created by the Digital Commerce Institute. It’s a solid general business podcast. It focuses on all aspects of running an online business: starting, operations, marketing, recruiting, and monetization. Note: The Digital Commerce Institute site also offers online entrepreneurship training. This podcast is finished (at least at this point in time), with 29 total episodes. Business Systems Explored focuses mostly on topics like hiring, productivity, and getting traction. The biggest strength of this podcast is that everything mentioned in an episode is practical. There’s very little high level discussion, and it’s focused more on specifics that could actually be useful in your day-to-day operations. Andy Frisella started this podcast because he was sick of all the “fluff” in other podcasts. It covers a wide variety of business topics, but I’d classify it as a business mindset and psychology podcast. Most episodes focus on a specific topic that will make you reexamine how you look at business and success. If you keep an open mind and are willing to think critically about your mindset, you will find this interesting. Everyone knows about TED talks, but did you know they have a podcast focused just on business? You won’t get specific lessons on business in most episodes, but you will get motivated, and learn about technology that will be important in the future. If you want to stay ahead of the curve, or just love thinking about new ways to create and run businesses, it’s a great listen. Startups are businesses after all, just a specific type. These podcasts focus on starting and running innovative startups. This podcast is hosted by Mike Taber and Rob Walling, 2 entrepreneurs who run their own small businesses. The most interesting thing about this show is that the hosts are able to talk to each other and experts about launching and growing startups with their own real life examples. How I Built This is an NPR podcast hosted by Guy Raz, who is one of the best interviewers I’ve ever listened to. In each episode, he interviews an entrepreneur of some sort and they dig into how they built their business and made it successful. The guests are incredible, from some of the world’s best known companies. For example, Guy has interviewed the founder of Whole Foods, Airbnb, and KickStarter. 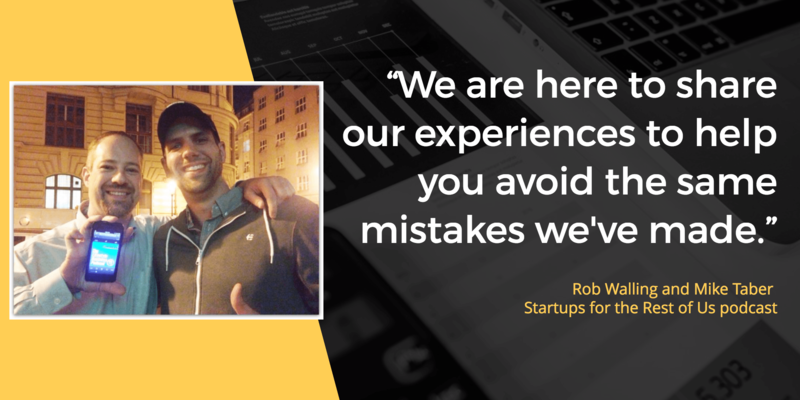 If you’re trying to build a business from the ground up, you’ll love the Startup podcast. It’s an incredible honest look at what it really takes to create a business, behind the scenes of one (Gimlet). To illustrate what I mean, there’s one episode where the host, Alex Blumberg shares his pitch to Chris Saaca (a legendary investor). It’s an absolute trainwreck, but something that every business owner can learn from. The episode then goes on and Saaca shows Blumberg how he should have pitched his idea instead. That example still sticks in my mind because I’ve never come across anything else so real and practical. 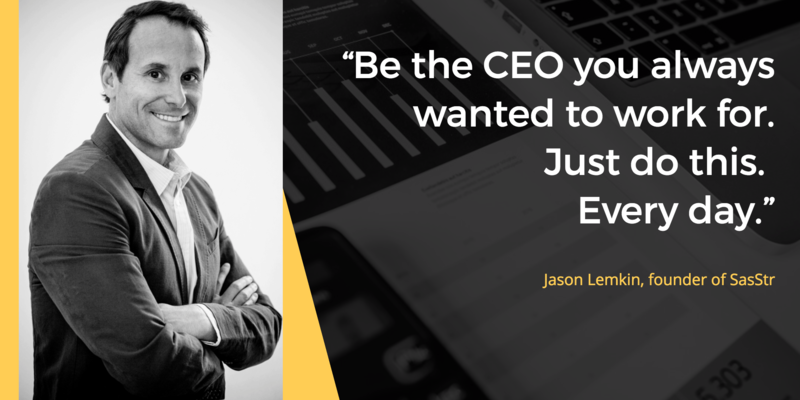 Want to learn how others built their businesses from the ground up? That’s what Mixergy is all about. 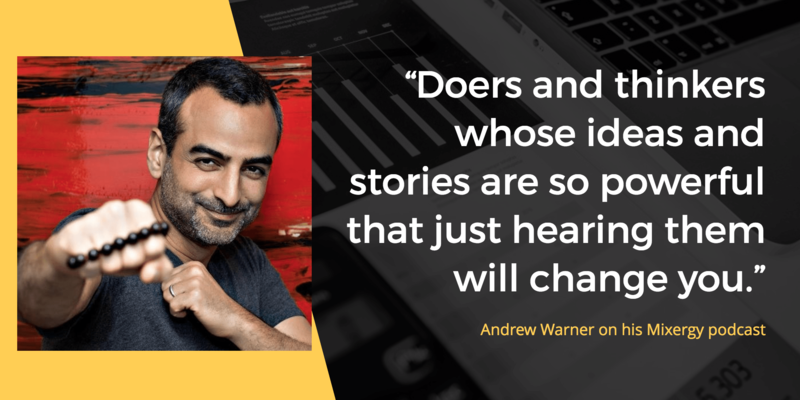 Andrew Warner interviews extremely successful entrepreneurs and goes into painstaking detail about how they built their businesses. These episodes regularly go over an hour, but still have very little fluff. These podcasts focus on developing and growing software based businesses. While their lessons can be applied to businesses in general, you’ll get the most out of it if you’re interesting in running a software business. This podcast is a lot like Mixergy. Courtland Allen interviews small business founders to find out how they’ve grown their businesses, in great detail. One difference is that most of his interviews are with developers, and therefore the businesses involve software often. 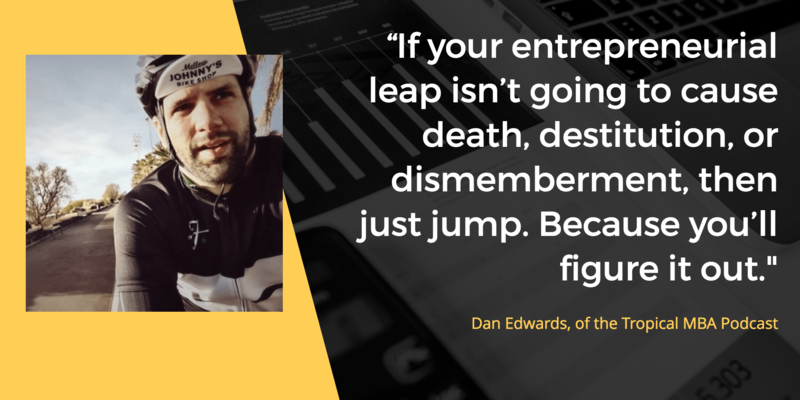 The biggest difference is that while there are some big names on the podcast, he mostly interviews lesser known founders of smaller businesses. This is great if your business is just getting started and you’re looking for relatable advice on how to succeed. If you run a Saas, the SaaStr podcast should be at the top of your list. An interesting angle that this podcast takes is that it features both business owners and investors. So you see what a healthy software business looks like from both sides. Not surprisingly, most episodes focus on business topics specific to software, like scaling, shipping software, and hiring. There aren’t too many business podcasts that focus on e-commerce, but this is a great one. Felix Thea interviews a variety of successful e-commerce business owners, and pulls out practical lessons from their stories that you can use yourself. This podcast is essentially a documentary. Grant and Mike share everything about their e-commerce business as they try to grow to $1,000,000 in revenue. On top of that, they also bring on other successful e-commerce owners to share what has worked for their businesses. Marketing is one of the toughest parts of running a successful business. These podcasts mainly focus on using online marketing to grow businesses in a variety of ways. 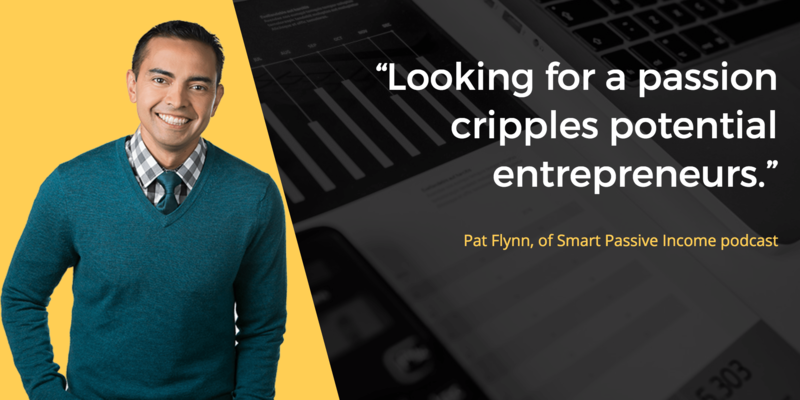 Pat Flynn has been experimenting with and teaching about passive income for years. He’s shifted a lot of attention from his blog, to this podcast. 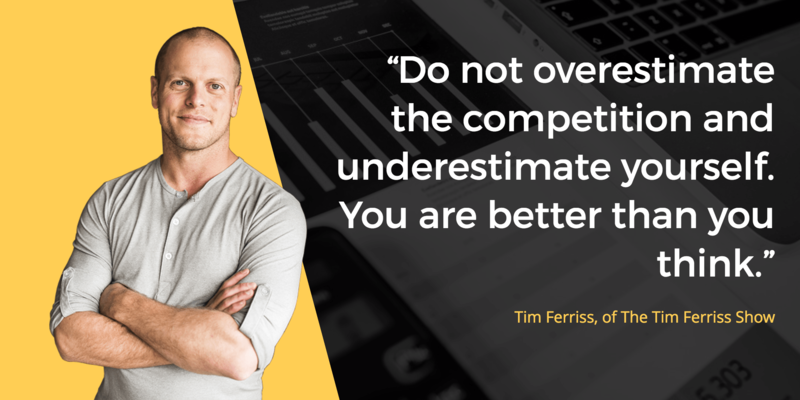 He’s always shared everything when it comes to his businesses and experiments, and you’ll learn a lot about marketing and finding opportunities to improve your business. As the title suggests, this podcasts focuses purely on marketing. The twist is that the marketing is advice for small business owners, who don’t want to, or can’t afford to rely on others for marketing help. If you have a great product, but are having trouble reaching enough customers, Warren Cass will be able to teach you a few key marketing principles to give you the ability to grow your small business by yourself. 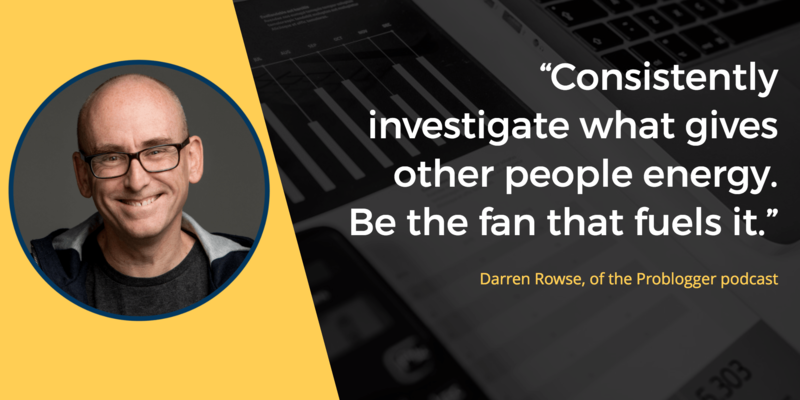 The ProBlogger podcast is run by Darren Rowse, who’s incredibly well known when it comes to blogging effectively. If you’re struggling to connect with your target audience through your blog posts, he’ll be able to teach you a lot. Most episodes focus on actionable examples and case studies, with a focus on trying to grow your blog and make more money from it. The title gives it away again. This podcasts focuses on automating different parts of your business to make more money and save time. Most episodes focus revolve around marketing, specifically content marketing. 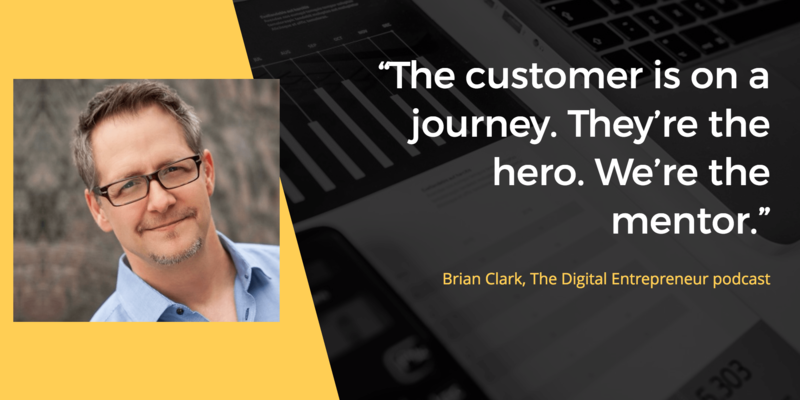 If you’re looking to find the tools and strategies that expert marketers use to become more efficient, you should give Autopilot Your Business a try. Anyone with interest in public relations knows who Doyle Albee is. He’s incredibly knowledgeable and experienced, and the host of this podcast. Contrary to the name of the podcast, he doesn’t think PR is dead, just that the way that most businesses do it is wrong. Each episode focuses on a specific aspect of PR to help you get more press and customers for your business. 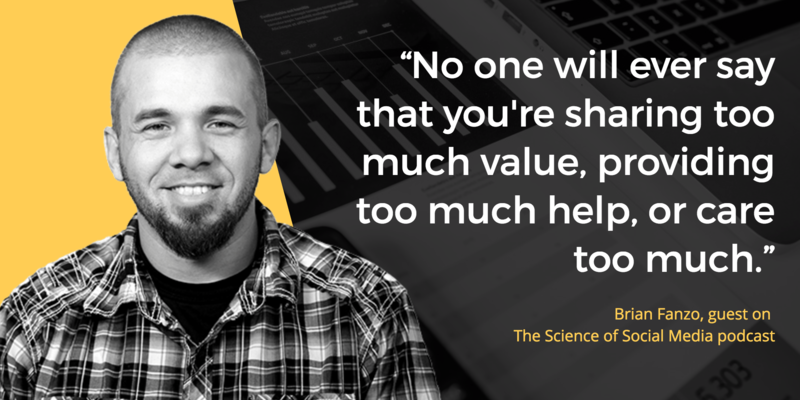 Joe Pulizzi has been the leader of content marketing since it became popular. This podcast is a crash course in content marketing. This podcast features short episodes, right around 10 minutes each. Each episode focuses on one specific lesson or takeaway that you can apply to your content marketing right away. Joe has no shortage of personal examples to offer to illustrate his lessons in a simple way. Social media can be a tricky one for small businesses. You know it’s out there, but are not exactly sure if it can be useful. If that sounds like you, please give this podcast a chance. It’s incredibly well made by Buffer. The hosts interview the best social media marketers from around the world and try to dig into practical things you can do on social media that will actually produce results. Most episodes of this episode focus on paid traffic, and producing a positive return on investment from it. The hosts interview real business owners to find out how they acquire leads and turn them into customers. If you’ve tried paid advertising (Facebook, Adwords, etc.) before but couldn’t quite find success, try listening to some of these episodes and try again. These podcasts have some episodes dedicated to business topics, but the main benefit that I think you’ll get from them is inspiration. They will leave you excited to go work on your business. Not only is this podcast usually ranked near #1 in the business category on iTunes, it’s usually close to the top overall. That speaks to how interesting it is to a wide audience. You won’t find episodes that focus on specific business concepts. Instead, he speaks with the most interesting guests from all around the world that you won’t find on other podcasts. Peoples like Arnold Schwarzenegger, Peter Thiel, Malcolm Gladwell, and so many more. So while there aren’t too many episodes that are just about business, you’ll learn a ton about success and important traits like leadership. Gary Vaynerchuk is one of the most well-known entrepreneurship personalities. His podcast is essentially his YouTube series in audio form, which is great if you prefer listening to watching. He’s a very motivating speaker, and most would agree that he’s authentic. He cares about the content he puts out, and genuinely tries to help his listeners. Most topics come straight from subscriber questions, although they do tend to be marketing questions more than anything else. Michael Hyatt is a world-renowned business and life coach. More than anything, I would say that this is more of a motivational podcast. It will get you excited about your business, which can in turn help you work harder and achieve better results. Although the lessons are typically taught in the context of business, most will apply to other parts of your life as well. Podcasts are a great way to learn about any topic, especially business. If any of these podcasts sound interesting, give them a shot and let me know what you think about them. You can find them on the iTunes store or any Android podcast app. 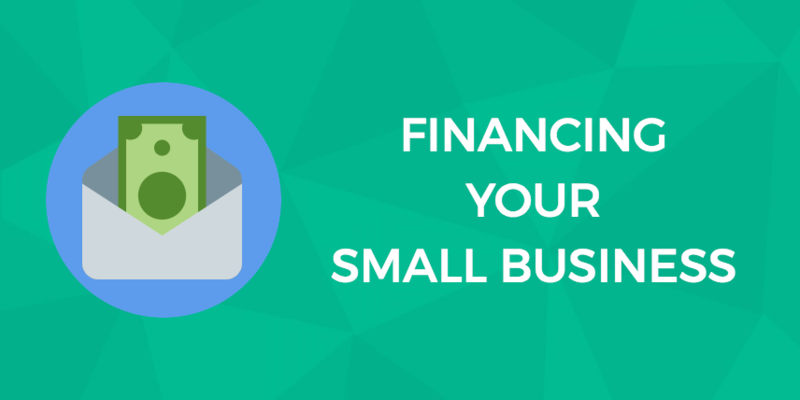 Previous: Small Business Financing: Which Grants & Loans Are Available For Your Startup?